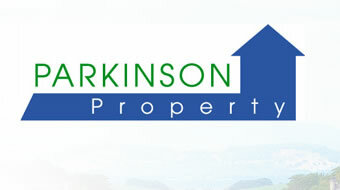 My work as a letting agent involves checking and verifying the identity of tenants and landlords. I have often been asked if the checks are really necessary and why so much information is needed. I thought I would recount a deception that happened only a few years ago, which shows the necessity for proper checks. Incredible though it may seem a tenant stole his landlord’s identity and successfully applied to remortgage the property for £207,495, then vanished without making any repayments. The disappearing tenant called himself Andrew Manning and he rented the property through a Brighton Letting Agency. He paid six months’ rent in advance together with a deposit of £1,200. The property owner Mr Hawthorn, had successfully let the property for several years after leaving Britain to do charity work abroad and had no problems until the property was let to the mysterious and devious Andrew Manning. Within a week of being granted the tenancy, Manning was able to successfully pose as the owner of the property. So how did he manage to pull it off? Unsurprisingly not all the parties involved are keen to discuss the matter but it is possible to put together some of the pieces. It seems likely that Manning learned that Mr Hawthorn was abroad and before seeking the tenancy he paid £2 to check the property out on the Land Registry website. He discovered that the property was owned by Grahame Hawthorn and that there was no outstanding mortgage. Mr Hawthorne’s brother Adrian confirmed that the letting agent had carried out reference checks, seen his driving licence and also evidence of his substantial income. Additionally the fact that he was paying 6months rent in advance must have added to his plausibility. However, it later transpired that the company that Manning claimed to be a partner in was in fact a mail drop address. The business offered a personalised phone answering service at £20 per week and any mail sent there was picked up by Manning himself. The 6 months rent was chicken feed compared to the £200,000 + he was about to walk off with. Once he had the tenancy he put phase 2 of the scam into operation. With utility bills sent to the property and a forged driving licence he approached a mortgage broker impersonating Grahame Hawthorn and said he would like to borrow £294,000. The mortgage advisor was satisfied with the evidence of identity and income and suggested that he apply to Cheltenham & Gloucester. The C& G were suspicious as there were glaring errors in the application. Details did not match those already on record. They refused the application and sent a letter to Mr Hawthorn through his brother, Adrian, who had power of attorney over his affairs. Meanwhile, before Adrian Hawthorn knew of C & G’s concerns, Manning moved quickly and through the same broker managed to secure a loan for a reduced amount with GMAC-RFC. Phase 3 of the scam involved opening a bank account with the same documents used to fool the mortgage broker. On receiving his cheque from the lender he paid it in and then withdrew the full £207,495 in cash and laughed all the way from the bank.